At Unleashed we’ve broken the mold. 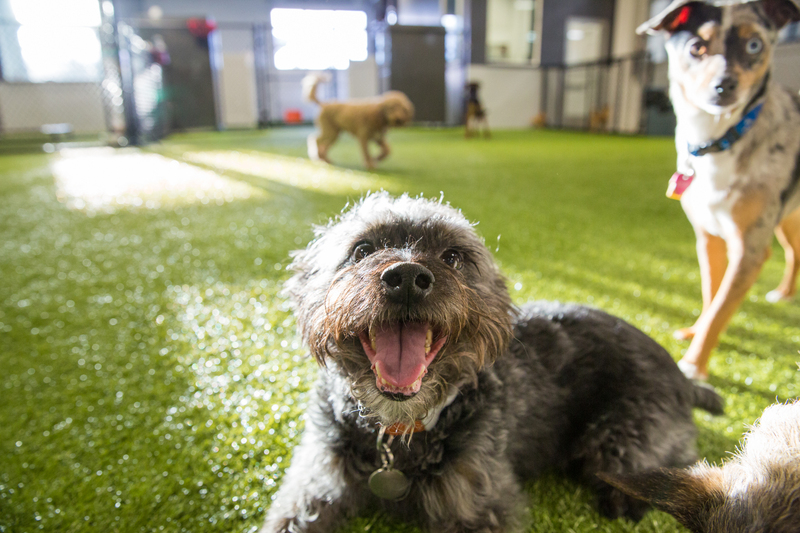 No more concrete floored, tight spaced, anxiety-ridden daycare for our dogs! 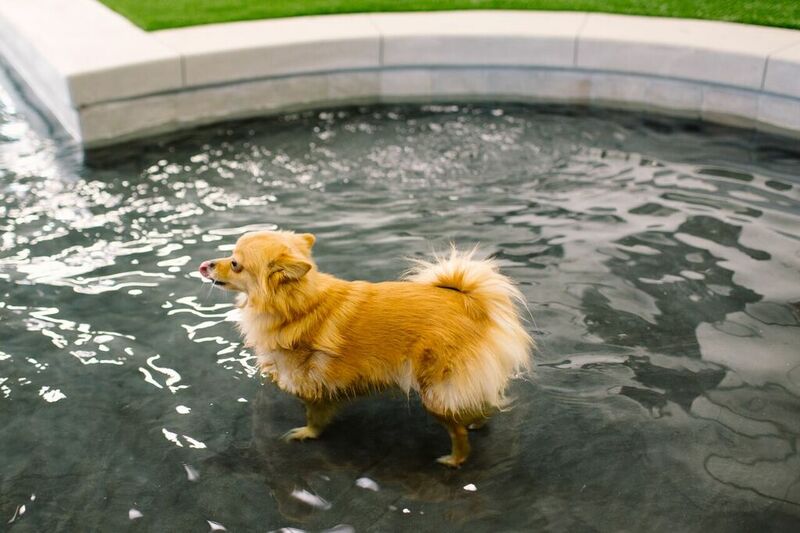 Dogs need flooring that is not only soft on their paws, but also allows them to run and exercise without slipping. Our 20,000 square feet not only gives our guests ample room to get all of their energy out without containment, but is also all grass (link to All Grass page). 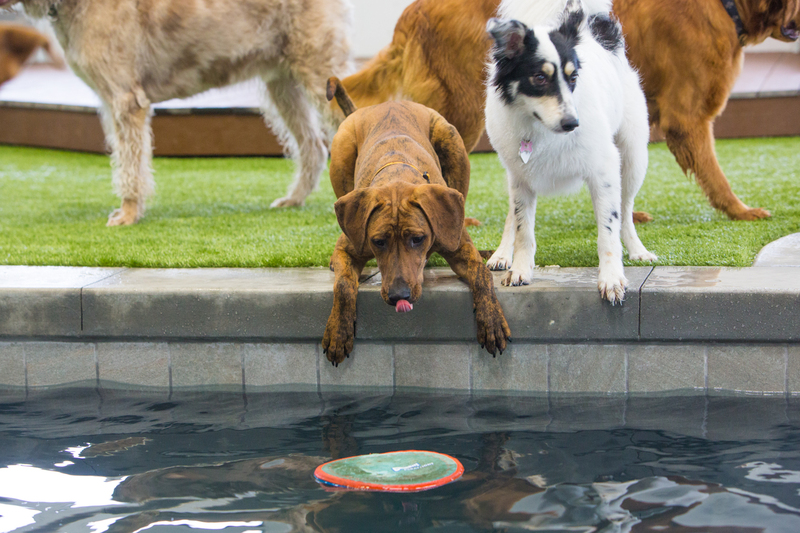 With the exception of a short lunch break, all our daycare guests will be splashing in the pool, playing chase throughout the agility course, running all over the park, socializing with friends, or relaxing for a breather. Whatever they want, because it’s all for them and their enjoyment. Each guest is put into groups according to size and personality match. Our Unleashed members maintain a minimum of 1 person per 15 guests to ensure proper care and supervision. 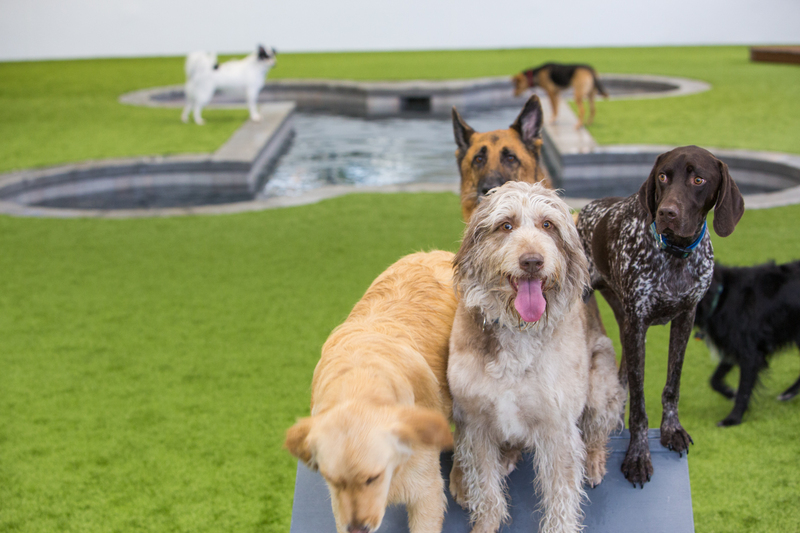 Day Stay is an alternative to daycare for guests who prefer less play time in the park or for less social pups who require individual time with an Unleashed team member instead. 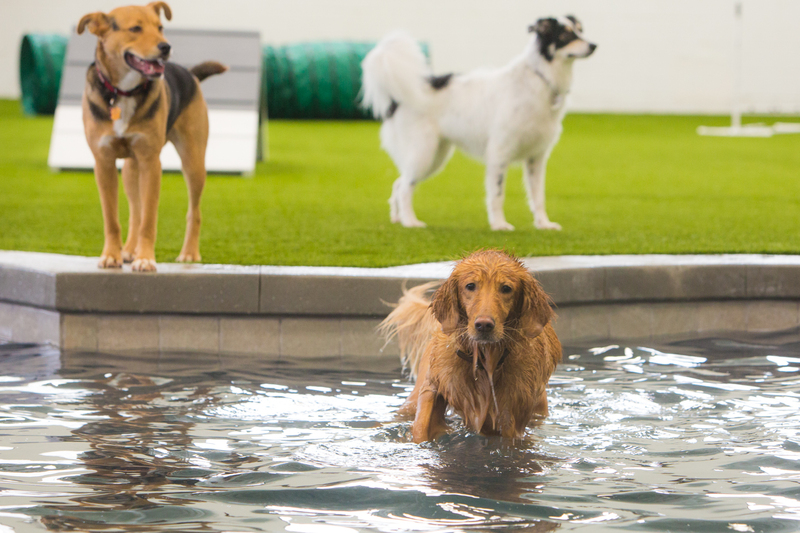 Guests that are not fixed or show aggression towards other dogs are also placed in one of our Day Stay Suites, which is private from the Daycare guests and enjoy access to our pool, agility course and parks. Guests participating in Day Stay will enjoy their own private room for the day with either two group play sessions or two outings to stretch their legs, get fresh air and take a potty break. First time at Unleashed? Fill out our New Guest Registration form prior to your first visit. Read our FAQ for our vaccine, check-in & check-out and cancellation policies. Pick-up and drop-off hours are between 6:00 AM and 9:00 PM and are allowed on a walk-in basis. On a Holiday, pick-up and drop-off hours are between 7:00 AM and 7:00 PM. Outside of those hours pick-up and drop-off are subject to additional fees and require a reservation.